Cryptocurrency markets have pulled back slightly from their bullish sentiment over the past week. 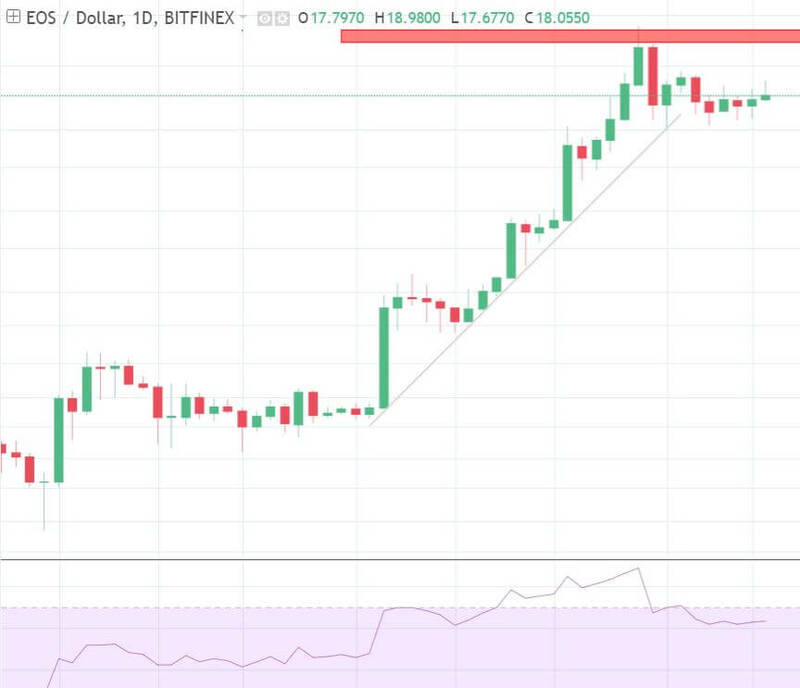 In this article, we will use technical analysis to look at the current price movements of EOS, Cardano, NEO, IOTA, and TRON. 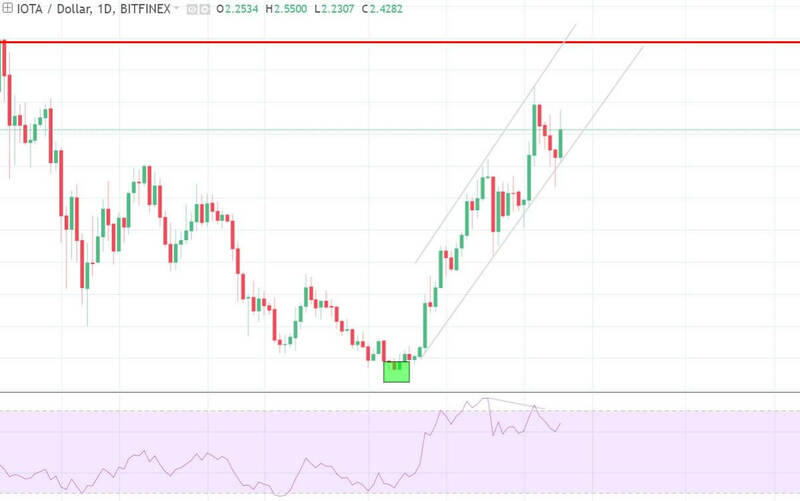 EOS had a significantly bullish runup over the past month, rising from around $6 to its all-time high of $22.89 – however, over the past week, it has consolidated after finding resistance just shy of $23.00. A clearly upward trendline can be drawn here. 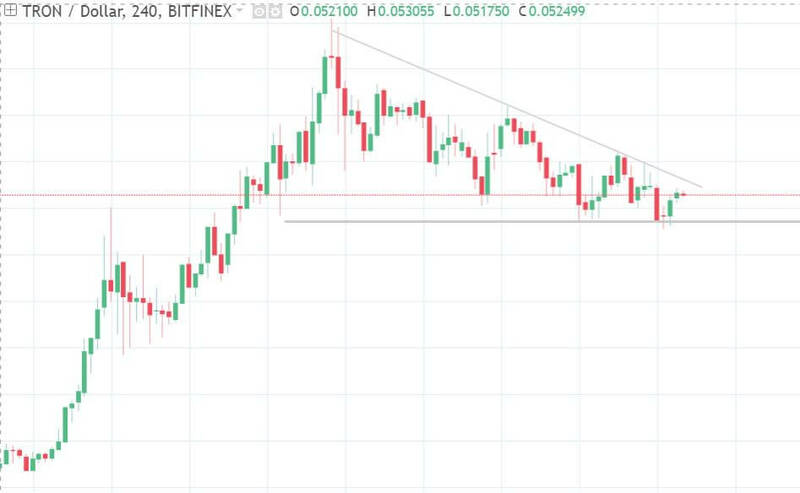 If EOS can break the resistance level, it is likely to continue increasing, as broken resistance levels often become levels of support. Taking a look at the cloud, we see the Lagging Span above price, and a bullish Senkou Span cross (aka Kumo twist). Although, the Tenkan-Sen is beginning to slope downward, while the Kijun-Sen remains level – if they cross, it will be a weak bearish signal. EOS finds resistance after a few bullish weeks. 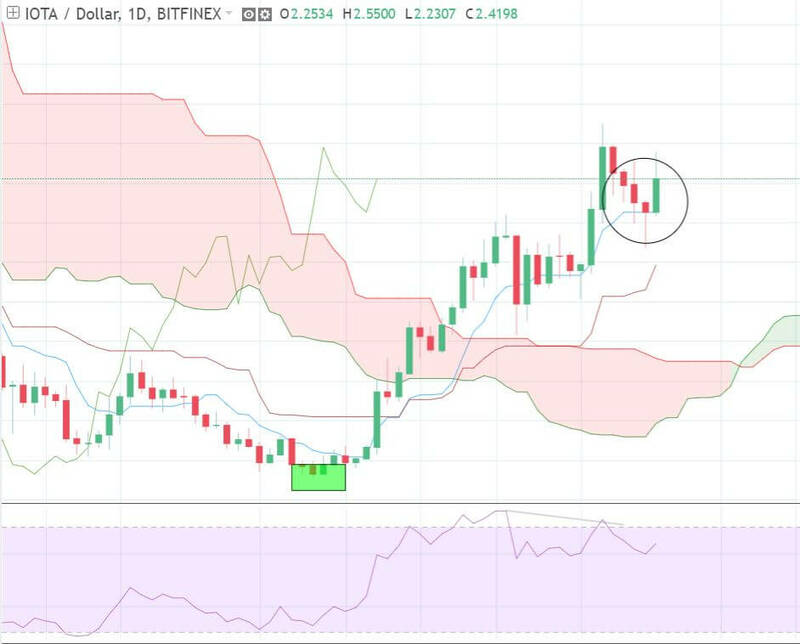 After finding support around $0.14, Cardano began to regain some ground but found resistance once again at $0.41. Over the past few days, ADA markets have been bearish. 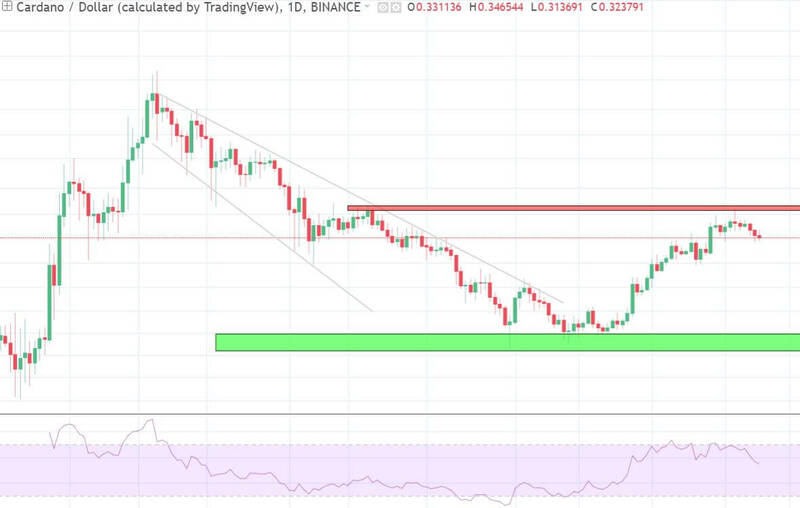 $0.14 has become a key support level for ADA, as shown in green. The market is pulling back slightly, but overall the cloud is showing bullish indicators. The Lagging Span struggles to make its way through the cloud. The Tenkan-Sen is above the Kijun-Sen, the price is above the cloud, and there is a bullish Kumo twist. If the Lagging Span can make its way above price, the combination of signals will be in favor of bullish price action. 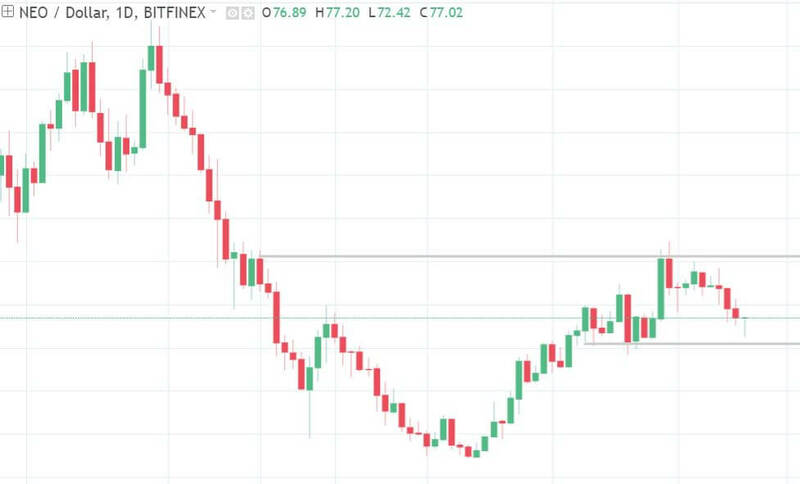 NEO seems to be moving sideways, consolidating above the $71.00 mark and finding resistance at $91.50. The market is going sideways after a long downward trend. 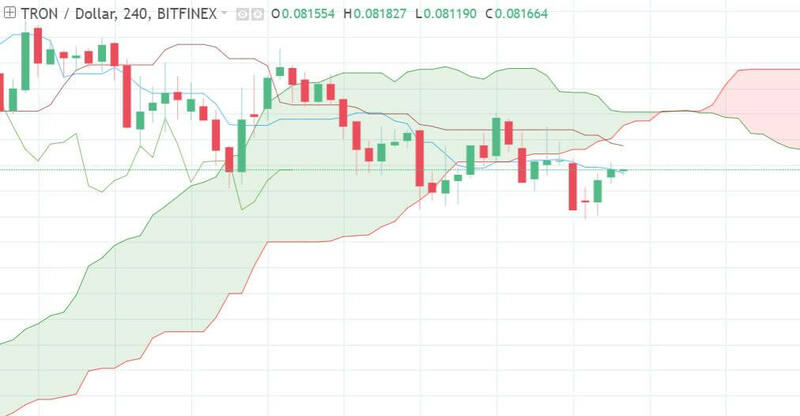 Besides the Kumo Twist, there are not too many definitive trading signals for NEO. Most professional traders do not go long nor short until price closes above or below the cloud. Besides a weak bullish TK crossover below the cloud, it is difficult to say where price is headed. 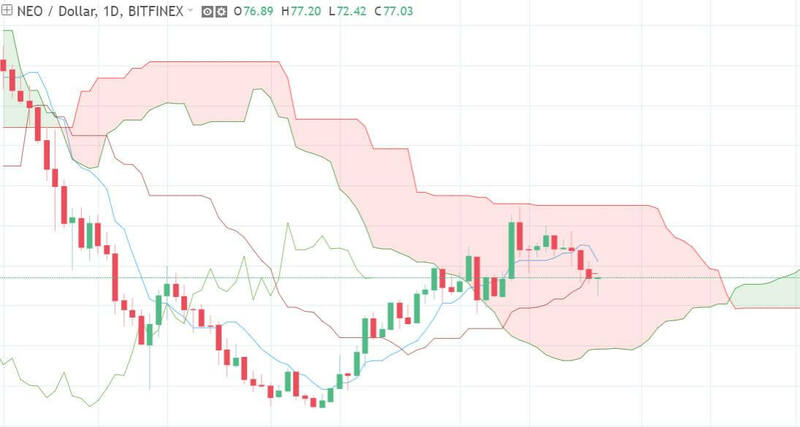 According to the cloud, buyers are rallying, but the further bearish action is likely. The shorter time frame helps to paint a clearer picture of future price movement. Price is below the cloud, the Tenkan-Sen is below the Kijun-Sen, and the Lagging Span is below price – all bearish trading signals. 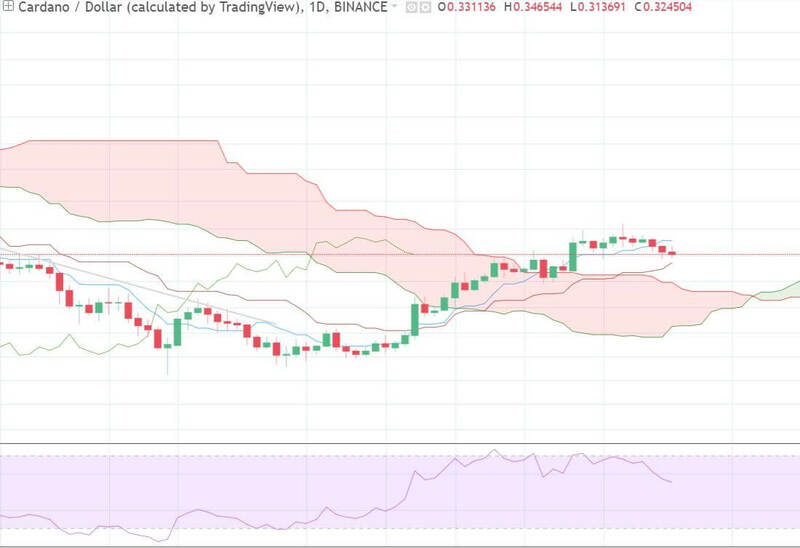 After finding support at $0.93, IOTA has been in a strong upward trend. 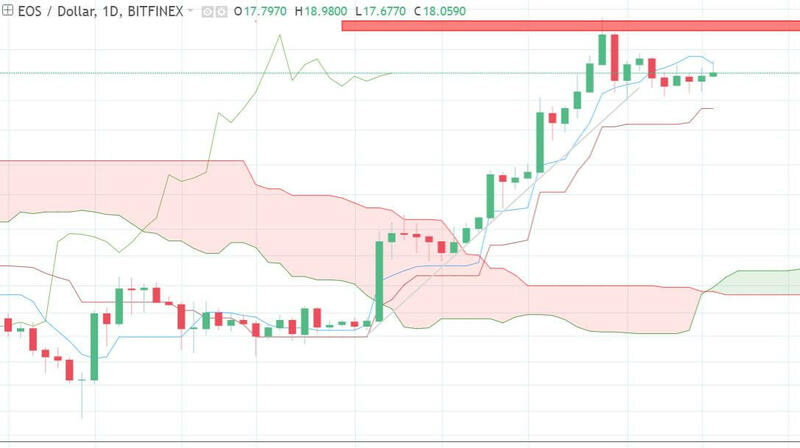 We can see IOTA found resistance at the Tenkan-Sen, and the Kijun-Sen shows strong bullish momentum. 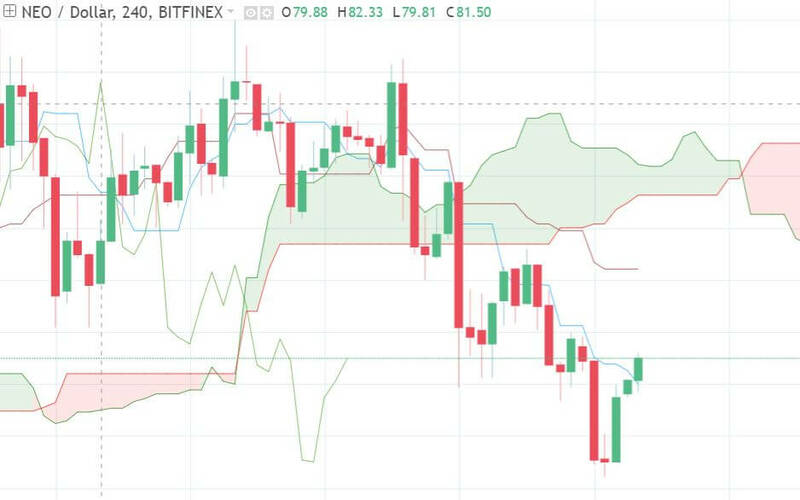 With a bullish Kumo twist ahead and the Lagging Span above price, the cloud is giving many signs of entry. IOTA found support at the Tenkan-Sen as expected. If the Tenkan-Sen slopes upwards, the signs will all suggest positive price action. TRON has seen significant gains over the past few months, rising from $0.03 at this time last month to a recent high of around $0.09 – however, its price movement may be headed in the other direction. The 4HR chart is showing a series of lower highs with support at $0.078, forming a descending triangle. If price moves below the horizontal support, bearish momentum is imminent. The 4HR cloud is signaling a downward shift in the market. If the Lagging Span makes its way below the cloud, it would strongly suggest further bullish action. It may be a good idea to consider a short position. A few weeks ago, the buyers rallied and comprised 92% of the market. Despite the recent uptrend, the market seems to be pulling back to equilibrium. Although technical analysis is a useful tool for price prediction, it is not definitive. A combination of both fundamental and technical analysis should be used to ensure more successful trading.